Taylor Hidalgo remembers the titans from his childhood. I can’t tell you too much about Super Mario RPG: Legend of the Seven Stars. I can tell you that it was a Squaresoft-developed RPG for the Super Nintendo starring multiple characters from the Mario franchise plus a small collection of invented characters, and that it spanned seven major sections to collect stars. I can name most of the characters, tell you that it used the Super FX chip to create some pretty cool effects, but that’s about it. I’ve gone back and played through a lot of the early game again on various platforms before losing my saves or losing focus to other games. I know the beginning rather well, but not much of the rest. It’s an uncertain haze of childhood nostalgia. But I can tell you I liked the game. I remember the whole experience being playful and whimsical. I remember the soundtrack following me at school, the tunes drowning out the lecture I was meant to be paying attention to. I remember stumbling across one secret and then laboring endlessly, at least as much as a child can labor, to find the rest. Most of my memory of the game is ethereal, the specifics mostly elusive. But my memory of the feelings I had and the experience of playing, the memories of that time and place in my life, are more definite. I distinctly recall sitting on the carpeted floor of my parents’ room, in an otherwise unfinished house in an unfamiliar town. While my parents went about spending hours a day finishing the house, choosing the floors and countertops to fill out an otherwise bare interior, I found the patience for life with the help of the glowing red dot on the front of the Super Nintendo and Mario to keep me company. More than now, I could relate to the child later in the game, taking every available opportunity to pull Mario aside so they could play with action figures. In much the same way that Mario was there for that child, so too was Mario there for me. 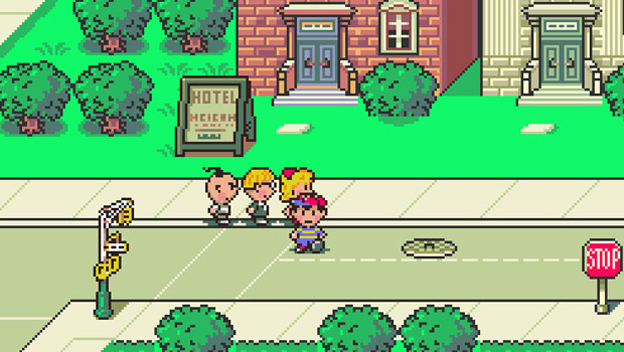 That game is, like many different games for many different people, an irreplaceable aspect of that part of my childhood. My nostalgia for games like Super Mario RPG, for as much as they are fine games in their own right, isn’t just about the game. It’s also an emotional memory building block: a chance to reflect on the person I was at the time of play, the senses, sensations, and the bountiful life that surrounded it. Too often, gaming is distilled to discussions about its components: whether or not the graphics look good, whether or not they’re well-optimized, whether or not the mechanics are significant or flow well, whether or not it accomplishes the fun it sets out to provide. Stories told about gaming are often in the form of scant survival against long odds, the game-saving flourish that won the match, or the hectic impossibility of a dramatic battle. But games are more than those things. They’re also player experiences. A fondly remembered game is a gateway into the lives we lived before; the things we believed, the things we expected, and the things we don’t believe anymore. They’re also a part of who we are both as games and as aspects of our childhoods, reflections of our development as people, musings on who and what we are in our entirety, rather than just what we are today or were yesterday. My childhood gaming was uncritical. It was playful, whimsical, full of wonderment at everything games could accomplish, utterly unconcerned with worries of engine failures, coding bugs, and visual imperfections. I’m nostalgic for the days I loved games unequivocally, nostalgic for the days when I was filled with wonder about games, rather than knowledge about them. 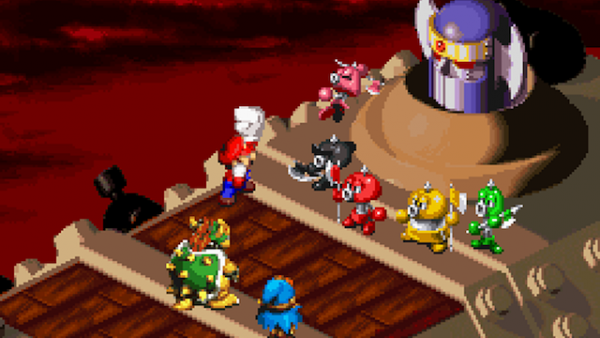 Those are as much a part of the nostalgia I have for Super Mario RPG as remembering the maze and chasing after Geno. Timing my attacks was just a part of my day, just as homework was a reality of my afternoons. I remember these things more clearly when I’m bouncing around the Mushroom Kingdom as Mario, standing on a nearby toad’s head as he sprints in circles. Eventually, Mario will hop off, get dizzy, and fall over. I remember shouting in jubilant surprise when this happened, as though I was made privy to a special secret detail. Like I was wiser for it, and that excited me. I’m different today. I still find joy in little happenstances of play, I still feel like I have something revolutionary to share when I have an experience that amazed me, but I’m much more burdened by it. I don’t revel in games; I’m surprised by them. 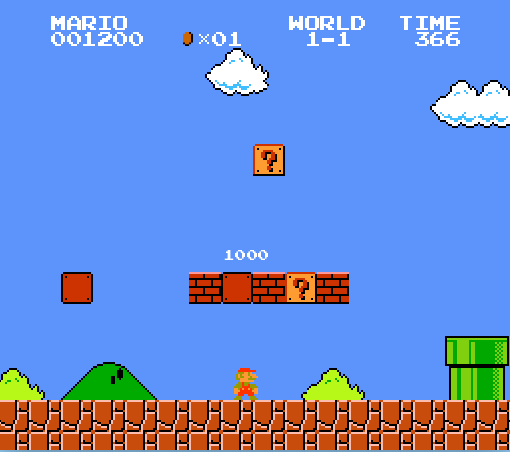 Child me had such wonder for the world, and certainly for the Mushroom Kingdom. Adult me does too, but it’s quieter, more reserved. We’re still the same, at our deepest levels, but I’m not as vibrant as I used to be. Today, I’m wistful for that mindset, and that feeling accompanies the thoughts I have of Super Mario RPG. I love it for what it is, and also for its part in keeping a part of me alive with it. I’m nostalgic for the days when I was an excitable child, young and in love with everything games could be, rather than older and more bitter about what they aren’t. To me, nostalgia is about far more than just missing old games. It’s about peering back through them and remembering what life used to be like. Sitting down with games like this reminds me that loving games isn’t a bad thing, and I’m no more childish for still doing so than it can sometimes feel out in the adult world. It reminds us that having fun is a part of life, and one we can lose track of sometimes. A wisdom of childhood we all let slip from time to time, but as easy to rediscover as turning on a Super Nintendo, or firing up the Virtual Console. I can’t tell you much about Super Mario RPG: Legend of the Seven Stars. But I can tell you I liked the game. I liked that me, too.